Posted on November 28, 2017 . 8 Comments. 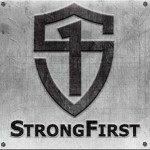 During the StrongFirst SFL Certification, I might mention the word “lats” one or two times. Once you understand the anatomy and the kinesiology of this wonderful and powerful muscle, you will know why I do. Seriously, I do mention it at least a hundred times with a very strong mention of it during the front squat evolution. Whether you are doing the bodybuilding, weightlifting, or powerlifting rack while front squatting, using your lats to the maximum is key to providing an adequate shelf for the barbell to rest on while your body goes from the vertical plank position down to the hole and back up to the vertical plank for a rep. The Latissimus Dorsi: An Important Muscle? 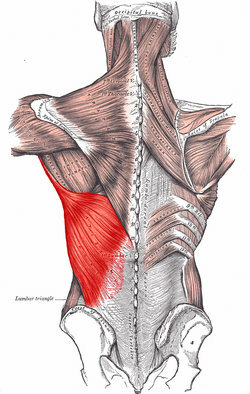 Why is the latissimus dorsi such an important muscle to utilize during the front squat whereas the muscles “doing the work” during the front squat are located south of the lats? 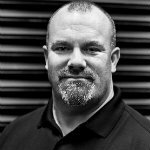 Let’s put it this way: if you don’t actively contract your lats and do it properly, you will not be able to lift as much weight and perform the front squat with safe technique as you would if you maximally contract them. Before the motor units and the muscles that are “doing the work” are allowed to fire, your lats are already firing very strongly. They do this by creating a shelf in the front of your body to help support the barbell while you are standing at the top of the rep. 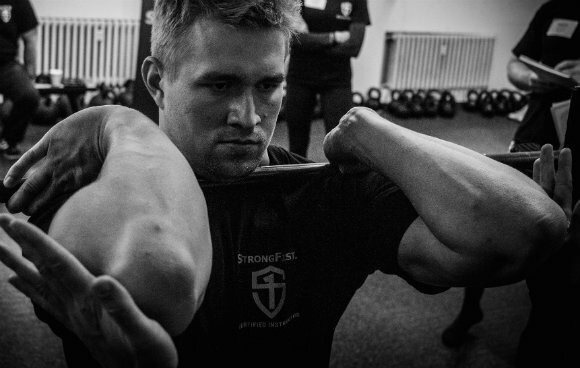 Together with your anterior delts, they horizontally adduct and flex your upper arm so your elbow is pointing straight ahead and your upper arm (humerus) is parallel to the floor. 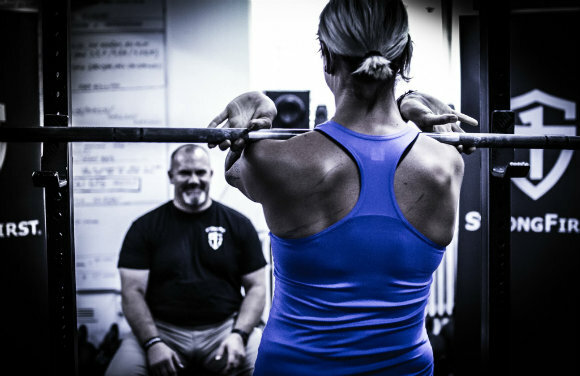 But, to get the most from the front squat, I suggest that you go one step further—instead of pointing your elbows straight ahead, slightly, and I mean slightly, point your elbows in. Doing this will help “pack” your arms so they are ready for the descent. Pointing them slightly in further tightens your lats and makes you feel as if you are very tight under the bar. Remember, you must become one with the bar. Stand up straight and place your elbows into a weightlifting rack. Remember, no weights here. Now, point your elbows straight ahead and get tight. Now, point your elbows slightly in and get tight. Abduct your elbows horizontally about ten degrees (i.e. move them out to the side instead of pointing straight ahead). Observe how you feel. Now, move your elbows in so they are pointing slightly in as we did in the first drill. See how that feels. It should feel a lot tighter and able to support more weight, which will allow you to finish that really hard front squat rep. The lats are big and strong muscles with an interesting origin and insertion in addition to a very surprising innervation. The lat (pictured in red to the right) originates off the spinal vertebrae and the thoracolumbar fascia (TLF) and inserts into the floor of the bicipital groove on your humerus. The TLF is the gray area at the bottom center. The TLF goes all the way down to the coccyx, covering the lumbar spine and also tying into the abdominal musculature. The TLF is a large part of developing the intra-abdominal pressure required to protect your spine from damage while lifting an object. Being that the TLF and the lats are intimate with each other, and the TLF is attached to the internal oblique and transversus abdominis muscles (two of the four abbies) and part of the intra-abdominal pressure mechanism, it stands to reason that when using your lats properly, you are also protecting your spine. By pointing your elbows in slightly, you activate the lats even more strongly, thereby protecting your spine even more. The innervation of the lats is supplied by the cervical spine, namely the C6-C8 spinal nerves, called the thoracodorsal nerve. This is another reason to keep your neck packed (to allow proper spinal function) and back where it belongs when performing a set of front squats. Keep your upper arm parallel to the floor with your elbows pointed in slightly. Flare your lats and stick your chest out hard. Tighten your lats even harder, while also contracting your abdominals harder. Maintain all this tension while you slowly descend your hips and pelvis below parallel. All the while maintaining the bar shelf created above during the vertical plank position. The hardest point of the front squat is to keep the shelf on the ascent. At this point, your elbows will want to drop. But you can’t let them. If you do, the bar finds the floor quickly. Your lats need to stay tight, in addition to your abs, on the way up. Any loosening of either or both will cause a problem. Besides working on your quads and glutes during the front squat, your lats, in addition to your abs, will get quite a workout. This is mainly due to them being in a state of isometric contraction. However, the lats and abs will continue to get stronger from doing the front squat. 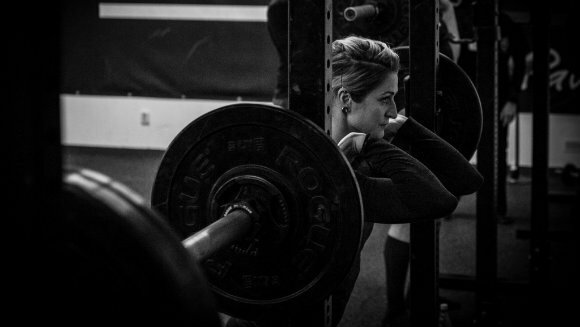 No sit-ups are needed after training with the front squat. When you are front squatting, use your lats—to the max. Make sure the shelf you create for the barbell to sit on top of is strong and stable. Using your lats strongly will help accomplish this. You will be pleasantly surprised at the positive results you gain from doing this. Tried this out with my class and it they loved it! Thanks Doc. Love the article and the details. The article gets technical while staying clear and to the point. Clarity and brevity…Awesome! wonderfully explained to a layperson such as myself. Thanks for being at the TSC last month at TNT. Does this apply to the front zerker squat? Excellent article! These are the pointers that enhance performance and prevent injury. Bravo! Totally agree, such a great article! So, to clarify…. placing tension in the lats by contracting the pecs and creating tension through a “lengthened” lat muscle as the origin and insertion points are now further away from one another…….